Tips For Best Night Vision On CCTV Cameras | Calgary Alarm Inc.
CCTV cameras or video surveillance are not only extremely valuable for commercial businesses but also for homeowners. That is because they add an additional level of protection to your home or business. These cameras can deter burglars, as well as identify and even catch potential suspects. 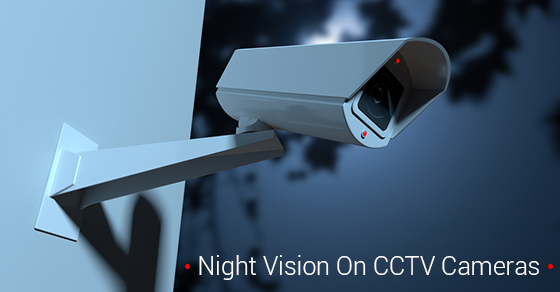 Since the majority of crimes occur during the night, it is important that the night vision on your CCTV camera is a good as possible and captures exactly what you need it to. Ensure that it’s powerful enough for your needs. This is perhaps the most important point of all if you are looking to get the best night vision you can. If you need your camera to reach a range of 30m, ideally you would then choose a 40m camera. Keep in mind that the image quality is going to be comprised at the extreme end of the camera’s range. That’s why it is important to figure out how much range you actually need. On the other hand, you will also want to avoid getting a camera that is too powerful since the majority of cameras cannot adjust their level of brightness. Ensure the camera has something to reflect off of. The light from your camera needs to have something to reflect off of, otherwise nothing will be visible. Ensure you have a clear field of view. To make your image as clear as possible, ensure that there are no tree branches or other possible obstructions making their way into your frame. This is important because the image will then become darker and any details will be difficult to detect. Take the mounting height into consideration. Keep in mind that the mounting height will add additional range—you need to take this into consideration, otherwise the camera might not be powerful enough to capture what it is you want it to capture. Reconsider cameras with varifocal lenses that can zoom out. If you have yet to purchase a CCTV camera, consider getting one without a varifocal lense, as the edges of the image will not have night vision. Consider Calgary Alarms for your choice of CCTV cameras—we are one of the best security alarm monitoring companies in Canada. Contact us today for information on how you can make your home or business as secure as possible.